At many schools, there are Engineering Academies, STEM Academies, Finance Academies, and other career academies. After all, we are preparing students for life after high school. We want them to have a strong foundation for their chosen college major and prepare them for the career that they may pursue post-high school. Where would we be without teachers to prepare the students? After all, "Teaching is the one profession that creates all other professions." At Hoover High School, we offer students an opportunity to be a part of the Education Academy. When I recently visited the class of Year 3 students, I asked them, "Who in here is 100% that you will become a teacher?" Almost all of the students said that they were definitely going to become a teacher. 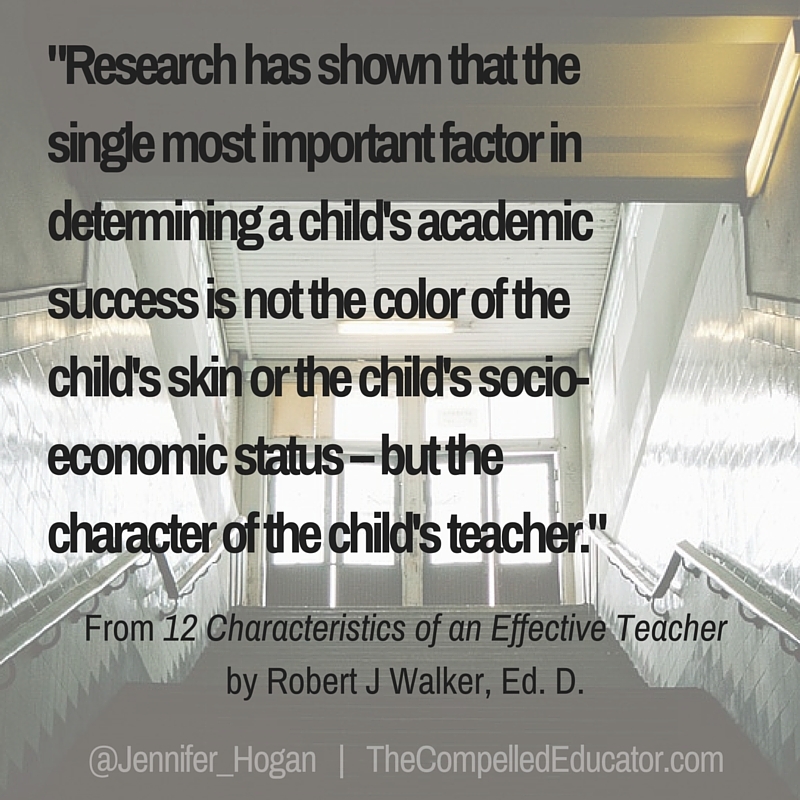 Currently, the class is reading and discussing 12 Characteristics of an Effective Teacher, by Dr. Robert J. Walker. When I visited two weeks ago, I popped in on a day that the teacher was leading a graded discussion on the first two chapters, Prepared and Positive. 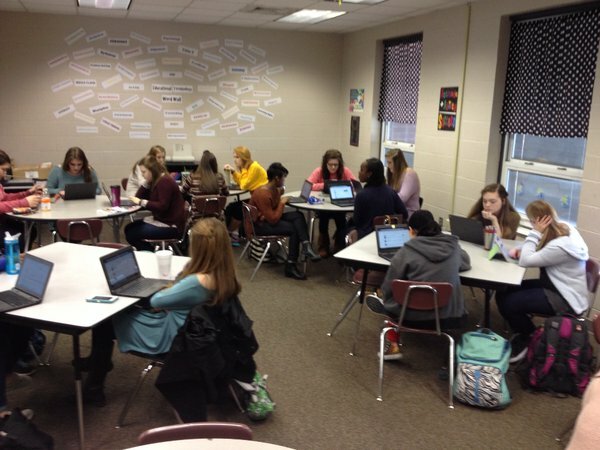 I was so impressed by their insight, I asked the teacher if she thought the class would want to participate in the weekly #ALedchat of which I am a co-founder. Her students said they would like to participate, so I visited their classroom today to practice a small mini-chat prior to Monday night's chat. First, I surveyed the room, and almost all of the students had a twitter account. I explained how a twitter chat works, the format, pace, and how to use tweetchat.com to "filter out" all of the other tweets from the people they follow. We used the hashtag #HHSTeach16 and practiced a mini-chat to prepare them for Monday night. The students were amazed at the guests who popped in from other parts of the country. I asked 4 questions, related to the chapters they had read in their book, and asked for responses. 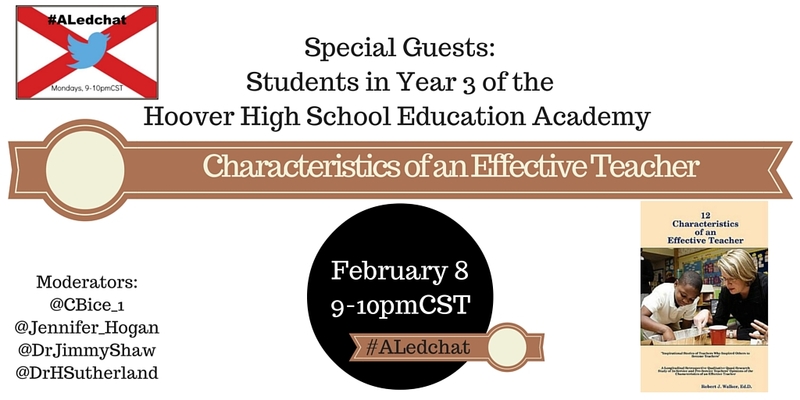 Their insight was amazing and powerful, and I'm really looking forward to Monday night's #ALedchat! Q1: What three words would you use to describe an effective teacher? Q2: How important is communication between home and school at the HS level? Q3: What do teachers do or say that shows that they are passionate about their students' learning as well as their subject? Q4: What do teachers say or do that let students know they (teachers) have high expectations? Final Question: What have you learned from a teacher that you will DEFINITELY do/be when you are a teacher in the future? I even heard one student ask her teacher, "Can we do our next discussion like this (twitter chat)?" We can learn a lot from our students; all we have to do is ask! We hope you will join us Monday night!